What is Nannies On The Go? Nannies On The Go is a childcare referral agency with offices in Southlake and Dallas. We place qualified, exceptional and experienced nannies and babysitters all around the Dallas/Ft. Worth area including Denton, McKinney, Frisco, Garland Southlake and all surrounding areas. How do I know if I am qualified for a childcare position? • 2 years minimum childcare experience. • Pass a successful and clear background check. • 2-3 excellent childcare references. • Must be CPR & 1st Aid certified at the time of hiring. • Have your own reliable transportation and car insurance. How much does a nanny position pay? Nannies are usually paid between $15-$22 per hour based upon childcare experience and position. Does it cost money to sign up or when I get placed with a family? Absolutely not! We do not request any money from our nannies. We find the talented and qualified nannies and create a portfolio for you so you are more than just a name! What if there is not a job on the current jobs list that interests me? Apply with us anyway! We have new families calling in all the time. Once you have interviewed with us and we have called your childcare references and your background check is completed, you can directly apply and interview with the families! Families around the area, ranging from Dallas, Frisco, Denton, Ft. Worth and everywhere in between contact Nannies On The Go looking for a nanny to work for them either full time, part time or temporarily. We send you, the qualified, CPR/1st Aid Certified, experienced nanny to interview with the families you are interested in meeting. They like you. They hire you. What if I’m not CPR/1st Aid Certified? No problem! We can still interview with you! However, the certification is required before we can place you with a family. If you need information on where to find a CPR class, we can provide the information. How do I choose what families I interview with? Once you have completed an interview in our office, we activate you in our system. 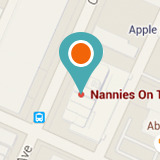 After that, you will begin to receive emails from Nannies On The Go with nanny positions all over the metroplex. Each family is different, so you let us know which families you are interested in meeting. If you need more information or you have any questions, you can call our office at (817) 442-0225. If you are all set, and you would like to apply, simply go online to nanniesonthego.net and create a profile. Click on “Apply Now”. Once you are finished, give us a call and we will schedule an interview with you in our office! What if I have a friend that might be interested in a position, but does not have an account set up with Nannies On The Go? Have your friend call us in the office. We can walk them through the sign up steps and get the ball rolling!